Erin Reding has worked in both the public and private sectors, and has experience assisting clients in an advisory capacity and with their litigation matters. 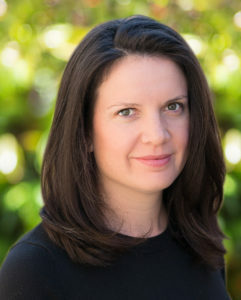 Erin has represented public entities in land use matters, compliance litigation, government contract disputes, employment cases, civil rights claims, Government Tort Claims Act matters, and numerous other facets of public law. She has also counseled public clients regarding policies and procedures related to public law, and regarding their rights and obligations under the Ralph M. Brown Act and the California Public Records Act. Erin’s private sector representation includes matters related to complex general litigation, disputes between business partners, civil rights, and contract litigation. Prior to joining Moscone Emblidge & Otis, Erin was a Deputy County Counsel for the County of Alameda. She represented multiple agencies at the County in both litigation and advisory capacities. She also worked as a litigation associate at Orrick, Herrington & Sutcliffe in San Francisco where she practiced complex general litigation and securities litigation related to stock options backdating, insider trading, and accounting fraud. Erin has been recognized as a “Rising Star” in each of the past four years in the Northern California edition of Super Lawyers. Outside of the office, she is the Project Manager for The Living New Deal, a non-profit dedicated to building a national archive of New Deal projects, documents, photographs and personal stories. She also serves on the board of her children’s school. Defended a public entity in litigation challenging its ordinance regulating behavior outside reproductive health facilities. Prevailed on behalf of a public entity in litigation related to an easement and a land use dispute. Represented a public entity in multiple lawsuits related to the entity’s compliance with state and federal regulations. Successfully defended a non-profit’s creation and development of recreational play fields, in an administrative writ proceeding. Prevailed on behalf of investors in a real estate deal that was based on fraudulent inducement.